Last new years I resolved to fill a notebook with positivity. I thought it would make me more mindful of them. Every day I counted my blessings, 5 of them to be exact. The entries range from the smell of springtime to the love of my family. You get the idea, it's whatever blissed me out at the moment. Now I have this notebook but I'm not sure how to use it to draw more of the good that is in it, into my life. I was thinking that maybe I would burn it? I would get an attraction vigil light and place it on top of the notebook. In addition, I would make sure that you cleanse yourself regularly, and I would consider burning a road opener on top of the notebook as well. Also, make sure you are actually open to receiving good positive things in your life, realistic about these things, and actually putting yourself in situations to receive positivity ( what I mean by this is certain things can not be done without a bit of leg work and not by sitting in your house). oh i wouldn't burn it at all, i would keep it for sure. what i would do is get a pretty box to keep it in and start a new one! then you can keep them in your "bliss box" and look over them when feeling blue. I would also follow starsinthesky's great advice as well. Oooh...I like the sound of a bliss box! That's an awesome idea! Then I could put candles on top of that. I was thinking that burning would send my intentions out into the universe...but I'm not too well-versed on such things. Yeah burning it seems wrong to me. I wouldnt burn it but I would do the bliss box which you can sprinkle some road opener, van van, and attraction powder. Or you can even put a lodestone and feed it to attract those things you speak of. Spookyredhead I can totally see your line of thinking about burning it to release it, but to me burning always seems like a banishment. I've thought of writing prayers on joss paper and burning them to get to the spirits but burning always seems like banishing or releasing to me so I haven't done it. The suggestions stars gives for powders in the box are excellent! make you feel blissful and things of that nature. Burning candles on top is a lovely idea. Wow, these are great ideas! I think you have a great nucleus for a Positive Attraction Altar, built around your Bliss box and the book(s) inside it, and the candles and Lodestone already suggested. 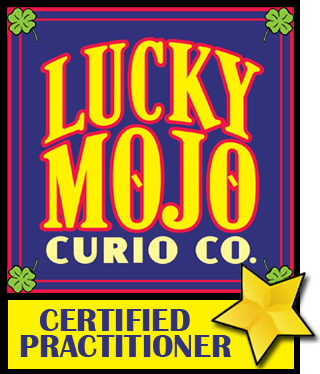 Over the last few weeks, Miss Cat has given a couple of recommendations on constructing altars to particular causes on the Lucky Mojo Hoodoo Radio show on Blogtalk radio. Best of luck and hope the Positivity keeps on flowing. Build an altar! This is something you want to be part of your life so build an altar. Set it up with pictures of the things that you've written down--images, little toys, anything that really places you in the mood your notebooks is written in. Place a large lodestone on top of your notebook. Feed that Lodestone with some magnetic sand. On the plate with the Lodestone place mojo beans which are great for bringing your wishes. Mix Blessing and Attraction bath crystals in a spray and spray around the altar and regularly set lights on this altar of yours to bring in the things that you desire. Regularly burn Attraction Incense with a pinch of Althaea leaves in there to get the aid of the good spirits. Oh my goodness! You guys are awesome! I feel so well equipped to use my bliss book! And I wasn't going to (because it can be cumbersome) but I think I might continue this practice into the new year. Then I can just keep adding more good to the pile. Can I put this next to my alter to Erzulie Danto? She is who I ask to protect me and my family from those who wish to do me harm. Or should they be separate? I would love to listen to the podcasts of the last few weeks radio shows but for some reason itunes is saying that the url is invalid. I might just have to listen to them from my computer. Miss Cat blows my mind with her advice! I hope I can meet her some day. ConjureMan - thanks for running with the Altar notion and explaining it better than I did! SpookyRed - You have a great thing going there with the book you've already done. In case it was not clear, it is inspiring to me that you have worked the intention for a whole year. You are awesome! As for the altar location, it is really up to you (and Erzulie). Personnally I'd make them separated, but by that I mean just not all mixed together. Don't see a reason not to have them side by side. Awww KhonsuMes...thanks for the encouragement on my bliss book project! Writing to ask for some advice on helping my fiance with his reintegration to society-he's just recently been released from a 13 year sentence and is having some problems readjusting....being able to sleep regularly (he'll go 2-3 days without sleeping at times) and having trouble with adjusting to a regular schedule (trouble organzing his days and forgetting important dates such as checking in with probation and having to run at last minute to do it). I have helped with the mundane aspect of this but was hoping to find some insight on spells to help him. he has a lot of love and support but sometimes i feel he is lost. also looking at helping the financial flow open for him. it seems to cover just about all you are looking for. I agree with Sweetlady. Bless him, comfort him, be there for him. The High John kit will help him be a good strong man and to have confidence in himself, which those just out of prison can lack, even if they don't show it. Cleansing and Blessing your house can offten have a dramatic affect on the timing and quality of the sleep of those in the home, in my experience. And then he'll need some DISCIPLINE and WISDOM. I'd get a King Solomon Wisdom spell kit and add ONE Cast Off Evil product, ONE John the Conqueror product and ONE Blessing product. Say Cast Off Evil bath crystals to mix with the KSW bath, John the Conqueror oil to mix with the KSW oil, and Blessing incense to mix with the KSW incense. I have been working with LM's wonderful miraculous products since 2009. In the 2.5 short years since I have accomplished mroe than the preceding 25. I do not lie. I believe some of it was me psyching myself I was not successful and some was my ex'es jinxing...regardless, all that is behind me now. I have since moved on in my career, have a steady job and things are better. I count my blessings everyday and am much more prayerful and at peace. I would like advice from the forum for the following areas that I like to always be working on. I have some ideas, but am stilling mulling them around. Please advise, if anyone has done hoodoo on a regular lifestyle basis. Well, yes, conjure is part of my lifestyle at this point in time. 1. Each day I spiritually cleanse my body at least twice - usually in the morning and in the evening. There are many different ways you can do that, depending on what methods of cleansing you enjoy and which work for your schedule. I like working with sprays, and with bath products in the shower. As far as my home is concerned, each and every day some form of cleansing incense in burned in my home. I use natural home cleansing products to which I add spiritual cleansing products, so that when I do routine day to day cleaning I am also cleansing spiritually. And once a month I wash the floors with Chinese Wash and smudge the heck out of the place. 2. Get some form of ongoing prosperity magic going that you work on a little each day. Using a lodestone in the work, such as the Money Stay With Me kit sets up, is a great way to do this. Fixed oil lamps are another. Treat your money with respect - dress it, pray over it, and don't crumple cash up in the pockets, fold it neatly and treat it as the ally it is. Learn to budget and to stick to that budget. Dress your body daily with oils/powders that will draw Prosperity to you. 3. I don't know what you do for a living so I can't be very specific, but Commanding and Crown of Success mojos and products are great for this. You can also dress your body with appropriate oils/powders. 4. Again, I don't know what your goals are in this area, but you can use Sun products to keep your health up, and if you're looking to lose weight or maintain your healthy weight the Triple Strength Weight Loss Mojo can be a big help in keeping you healthy and motivated. 5. Again, having some form of perpetual protection is good. A Fixed St. Michael bottle into which you put your personal concerns is one way to go. A Fiery Wall of Protection mojo would be another. An amparo that you make and work as needed is another. Each day dress the soles of your feet and the base of your skull with Protection oil (which can be part of a Success/Prosperity oil blend that you use for dressing your body daily). Thanks Devi for taking the time to answer in such detail. Putting oils in the bath products is an excellent idea. I have done cleansing baths before but it does not really work in my kind of shower: too messy and time consuming for the way my shower/bath is set up. I will look up appropriate oils. Can you recommend a cleansing smudge/incense that is not too intense , my husband is not fond of perfumes, so I am always on the lookout for subtle perfumes. I also have contemplated using room diffusers with incenses ( like a few drops in the "Glade" bottles that plug in and diffuse gradually ), but still looking for a nice floral smelling cleanisng and protecting oil. I typically use CoS in my work..ie before tests/exams and such and have had excellent success...also carry a CoS and steady work mojo at work. Not sure how to amp it up more beyond that..?? I tried using a weight loss mojo, but for some reason it did not work for me. procrastination in fitness is my biggest problem. Not sure what else to try. Thanks though...will keep pluggin away on it. Get an oil diffuser where you just put a few drops of oil into a small bowl filled with water, underneath which you light a teacandle. Don't use Glade stuff - it's just all toxic synthetic chemicals. Put a few drops of whatever LM oil you wish, and it will fill the room with a lovely delicate scent with accompanying lovely spiritual effects. If procrastination is an issue, petition St. Expedite who is the patron of procrastinators. He will help you find a way to overcome that. With the weight loss mojo, did the mojo not work or were your expectations unrealistic? When beginning to work out, many of us want to run a marathon a week after we've begun exercising and that's just not usually possible. A realistic set of eating and exercising goals, worked alongside the weight loss mojo and with some Clarity, CoS & Cast Off Evil can do wonders. Getting the help of a nutritionist or a trainer (or friend at school studying one of those disciplines) can also give you tips to integrate your desires seamlessly into your lifestyle. Either joining a beginner yoga class or doing videos with 30 minutes of exercise 3x a week and a 10 minute walk is small and usually doable. I'm returning to the forum after a pretty long absence. After some pretty big changes in my life I decided to book a reading with Miss Michaele, and I'm eagerly awaiting her advice. I've recently moved into a new apartment after dealing with some big changes in my religious, academic, and personal life. I want to know what daily rituals you all incorporate into your routines for personal growth and staying generally spiritually centered. How do you keep up with your practices, and what are some tips with setting out on a new path? Hi Obskultus and welcome back! - Engage in a more spiritual for of exercise (yoga, tantra, walking in the woods, etc.) or attend Church or another spiritual organization of your choice. Among all the wonderful advice Miss Aura has given I would like to add meditation. This can be a simple sit down and focus on breathing or focus on the words as you say Psalm 23. Many ways to go about this wonderful process and as you do it more and more the more you may notice a difference. Set up an altar with a picture or statue of Jesus, Mary, or a saint or angel. Burn candles (tealights are OK) and incense every day. If you have requests, burn an additional candle on this altar. Great advice!I am going to steal some of these ideas! I know what helped tremendously for me was regular prayer. That's connected me with spirit like you wouldn't believe. Last edited by Mama Micki on Mon Dec 31, 2012 7:08 am, edited 1 time in total. Obskultus, wonderful to see you again! I'm really looking forward to reading for you. I start most every day by praying along with the Crystal Silence League, and then making the rounds of my altars to see if my spiritual allies want anything. Somehow, this often involves cooking (Spinach Lemon Lentil Soup was a big hit this week; and La Santisima Muerte has been patiently waiting for apple-ginger pie). I also have a lodestone altar which works best when it is fed daily. I have a couple of crystal balls I used for scrying -- they're getting much more attention now that I keep them on my computer desk. This is a little late, but here goes: I burn tea lights anointed with fiery wall of protection oil every day. I make this fiery wall protection oil myself every Tuesday. I have about 20 LM oils, and I use LM oils daily; the ones I choose to use depend on what I want for that day. Sometimes it's related to success, sometimes romance, sometimes courage, healing, etc. I also meditate and do tarot readings everyday. What a lovely question, Obskultus! And I love thread resurrection. I like to start my day with Crystal Silence prayers; I print out the latest twenty prayers and light four lamps -- one I call Master Seer (dedicated to Caroline Dye), a prosperity lamp, a power lamp, and another dedicated to Dr. Jose Gregorio Hernandez. I warm each of the crystal balls over these four lights and say an appropriate affirmative prayer for each color -- black, dark blue, pale blue, gold/yellow (I have this color associated with wisdom more than success), purple and green. Then I trim all the client lamps and my own lamps, so they're ready for evening candle service. This is a beautiful thread, aura, I think you are peeking in my window. The advise you provided here mirrors many of may daily practices. Good Luck to all who read them and follow the various ideas listed herein. I like aura's post too, and have made a note of it. It would be my goal to make a daily practice just like that. I want to echoe the above suggestions regarding daily cleansings, ancestor work, and mojo work. These have become important parts of my spiritual routine. If nothing else, I find the daily act of praying with my mojo hand before putting him in my pocket gets my day started on the right foot. It has been a year since this subject has been addressed, and it seems fitting to revisit it at the start of 2014. My new year resolutions involve being more consistent with my daily practices, which include journaling, meditation, and studying Ms. Cat's coursework and hoodoo. What are your daily practices? Laila, thank you for waking up this thread. Indeed the beginning of the year is a great time to revisit patterns and make changes for the better. Much of what has been listed is part of my daily practice. I find that the simplest of things, like taking a shower and lighting a candle can totally shift my energy and my mood. For me it is all about adjusting my mindset and bringing me back into a space of connection. It is easy to get thrown off during the hustle and bustle of the day. Part of my morning routine is connected to jewelry. I have a special ring that I wear along with an evil eye bracelet (http://www.luckymojo.com/evileyebracelet.html). I cleanse these regularly and at least once a month charge them with either incense or oils. When I put them on it is like flipping a switch, helping me to shift and prepare for the day ahead. It is the little things like this that I love the most. Considering that hoodoo is the set of magical practices engaged by black Americans (to which some white, Hispanic, and Asian people have voluntarily joined themselves), your answer can be found by consulting the general spiritual practices of the black communities of America. Most African Americans are Christians, and of those, most are Protestant, with particular emphasis on the Baptist denomination, as well as African Methodist Episcopalian and various Holiness, Sanctified, and Pentecostal denominations. A small minority of the Christians are Catholics, and an even smaller minority are Christian Spiritualists, and Christian New Thought adherents. Outside this vast group, a few black Americans identify as Black Muslims, Black Jews, initiates in African Traditional Religions, Buddhists, and members of various small Neo-Pagan, Shamanic, and Kemetic Reconstructionist groups. Not all of these religions make use of terms (or theological concepts) such as "Personal Growth" or "Spiritual Centering." The Protestant denominations, in particular, focus on salvation from sin, alignment with God's will, study of the Bible as a moral guide, and praising the Lord for gifts and miracles that have been manifested. The daily spiritual practices of any given hoodoo practitioner will vary due to the daily practices recommended in his or her religion. I can tell you that for most of the hoodoo practitioners i know, recitation of Psalms is probably the single most prevalent daily practice. Most of my clients have a personal favourite Psalm (usually referred to in conversation as "my Psalm"), and this Psalm is recited once a day. The 23rd Pslam is by far the most commonly chosen of these, but it is by no means the only one, and many people tell me that they recite two Psalms per day, one being the 23rd Psalm and the other being one selected for efficacy and relevance to their current most pressing needs or wishes. I have been reading around the forum and I find many people are mixing hoodoo with other spirituality. (I am not being a critic here - I am just saying that we all try to compare it to things we know!) 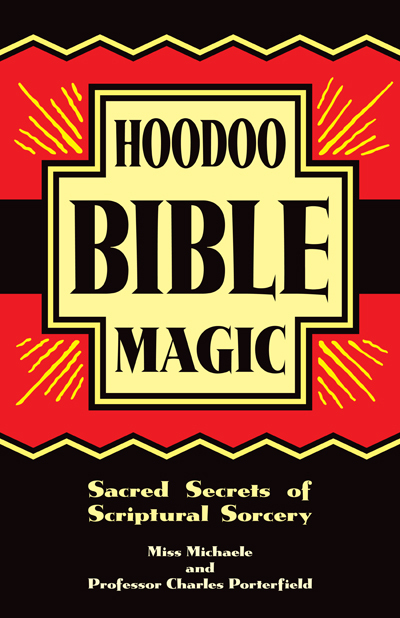 I have some family members who have always practiced hoodoo and they are indeed very Christian. In recent years, since having children actually, I have once again been drawn to hoodoo as it is part of my family's history and it is exactly as you say - daily practice is prayer perhaps lighting a candle and praying for loved ones. That is what my aunts do as well as certain things like no shoes in the house and other practices are part of our family traditions if you will. As a person who did seek out other spirituality in my youth, I am now more than ever understanding how we want to go back to the traditions we knew as children. I too have noticed that this forum -- and the internet in general -- has within the past few years attracted people who, to quote your words, "are mixing hoodoo with other spirituality." I try to be welcoming to all -- for i was taught that being welcoming is a mark of good manners. However, i and others here do speak out sharply against the cultural appropriations attempted by those who wish to "borrow" (steal) knowledge from the black community without acknowledgement or respect for the sources of this wisdom. With that being said -- listen to your aunts! They carry wisdom in their years and will teach you a traditional way of working that holds great power. As someone who has learned from many traditions I can see Catherine's point. Being African American myself, I am at a point where I feel drawn to "get back to my ancestral roots". My parents raised me as a Christian, but they were strongly against hHoodoo, or any form of "witchcraft" (and everything they did not like they considered pure evil and "witchcraft"). So, I have been practicing the best way I know how, what I remember from watching my grandmother's twin, and what I read. I'm glad that a forum like this is here for those (like me) who wish to learn and grown in this tradition. I think one of the most common of the traditional "daily practices" in hoodoo is bathing, or at least washing the hands and face, with water into which a few drops of a spiritual oil or perfume have been introduced. I personally like Van Van Oil for this purpose, but sometimes i go for Special Oil No. 20. Anther dily practice, especially when under conditions of stress, expectancy of a change in circumstances, or uncertainty, is to light a small candle -- a 4" light, a tea light, or the like, with a prayer. The prayer alone may also be deemed sufficient. The most common daily prayers are The 23rd Psalm and the Lord's Prayer. In special circumstances, a daily rayer may be selected according to present needs. I think this is the appropriate place to place this question; while this isn't something that will happen overnight, it is something that I'm going to have to work through for a few days and is inextricably linked to personal growth-- but it won't be daily, in the sense of life-long, hopefully: quitting smoking. Is it unheard of or common practice to attempt placing the leaf in my shoe for help in quitting smoking? How can I use Eucalyptus over a length of time to help me stop smoking? You can use the herb as long as you need to, to help quit. You likely will find success in mixing many methods to help you such as: hoodoo for spiritual aid, a support group, and consult a doctor for any medicines that may support you in quitting. Take a spiritual bath in an item like cast off evil, lighting a candle to help with addiction and wearing a mojo to protect you, along with reciting Psalms and prayers. I use to smoke and I used acupuncture to quit many years ago. That is my personal journey story to success. I used Crusible of Courage oil and High John oil to help me. I was also very motivated and wanted to quit. I will read over those links you sent. I must state, given my current living situation, I hope I'm not SOL, because candles can't be had. You said: "Take a spiritual bath in an item like cast off evil, lighting a candle to help with addiction and wearing a mojo to protect you, along with reciting Psalms and prayers." -- Do you think that a spiritual bath with Cast Off Evil along with eucalyptus use as I described would be somewhat helpful, without the mojo--with the 121st Psalm; it has to be better than nothing, right--have you heard of success in this way? I do have with me this time some medical aids, as well as a support group. Now, in a moment, when I have the time to read as thoroughly as I would like, I'll read through the threads you sent me. Thanks for finding that for me by the way. I never would have thought to look there for placing my question. Yes you could do that. A mojo generally helps in most spellwork for personal growth, but taking a spiritual bath is a good way to start ridding yourself of your nicotine habit.